A good late 19th. 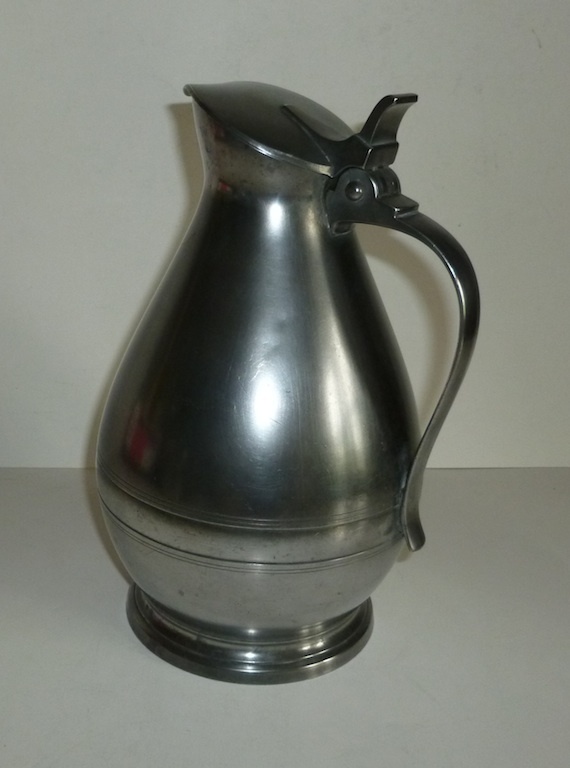 century French wine flagon from the Normandy region with a "bent back" thumb piece. 9 1/2" tall with a bottom diameter of 4 3/4". In very good condition.